In 1983, Australia and New Zealand signed a trade agreement. 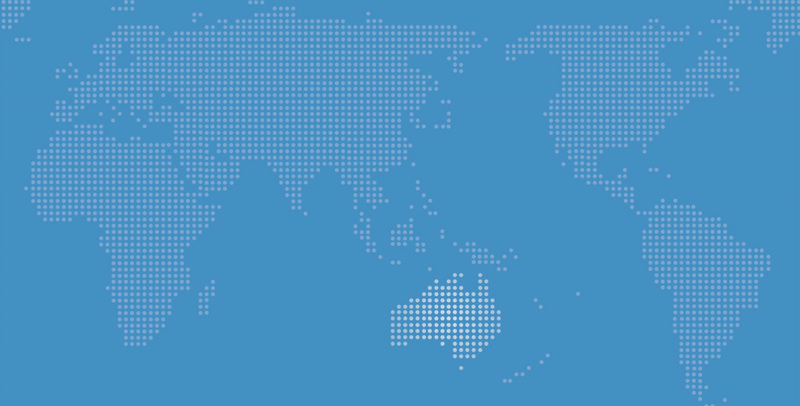 The Australia-New Zealand Closer Economic Relations Trade Agreement ran to 24 pages. Additional annexes came in at 47 pages. Fast- forward to 2004, and Australia signed a trade agreement with the United States that came in at 271 pages. I'll leave it to the interested reader to count the annexes, but Annex 2-B, for the US only, is 560 pages. You get the idea. Right now negotiators are sweating over another tome: the Trans Pacific Partnership. This agreement covers 12 countries, $28 trillion in gross domestic product, and 800 million people (notably absent from the agreement is China). It appears to be continuing the trend towards complexity. The US takes 80 specialists to each negotiation, Japan 120, and Australia 22. Clearly, somewhere along the way, we decided bigger is better. The Trans Pacific Partnership has been touted as a "gold-standard" trade agreement. It is apparently going to include provisions on intellectual property, investor protection, along with ... well, many things, I guess. Nothing has been made public yet. Nothing will be until it is signed. We won't know, for example, if there will be provisions on currency manipulation. This all represents quite a change for Australian trade policy. Once upon a time, it was all about trade. Negotiating on intellectual property and other mutations wasn't even contemplated. And when negotiating, it was all about getting a global deal done. It's time to return to those roots. Let's start with the shift to bilateralism and regionalism. During the heady days of the 1980s, we were told tariffs were generally bad, and free trade good. It would seem, then, that any agreement that brought tariffs down, whether it be multilateral or not, would be progress. That's not quite right. Suppose we import cars from the US and China and each face a tariff of 50 per cent. Now suppose we reduce the tariff on cars from China. There is a chance Chinese cars will crowd out US cars, but not actually lead to a substantial decline in price. If that happens, cars in Australia do not become much cheaper to buy, and the government misses out on tariff revenue. This is a well-known problem of trade liberalisation that is not multilateral. Economists call it trade diversion. Trade diversion may in part, be why we do not seem to have experienced large gains from the trade agreements already negotiated. In fact, the political process may tilt the field towards trade-diverting agreements. That was the conclusion of Elhanan Helpman, of Harvard University, and Gene Grossman, of Princeton University, in a paper they published in the world's top economics journal, the American Economic Review. They concluded "trade diversion [of an agreement] will enhance [its] political viability while contributing to an inefficient allocation of resources in the two partner countries". The shift towards issues outside of trade is even more troubling. The benefits of free trade of goods and services have firm theoretical foundations. There's a theorem, called the "first fundamental theorem of welfare economics", that lays out general conditions under which free trade is efficient. Sounds important, doesn't it? It is. Unfortunately for the proponents of expanding the scope of trade agreements, there is no similarly theoretically robust reason why, for example, intellectual property rules need to be harmonised. In fact, it's the opposite. In a paper written nearly 10 years ago, again in the American Economic Review, Grossman and Edwin Lai, of the Hong Kong University of Science and Technology, concluded "harmonisation of patent policies is neither necessary nor sufficient for global efficiency". All harmonisation does is shift gains from the users of intellectual property to the producers. Similar concerns pervade the other non-trade aspects of the Trans Pacific Partnership. Investor-state dispute settlement provisions would allow foreign investors to sue the Australia government, even though Australia's legal system and protections are strong. This is not the kind of thing one finds in an economics textbook on market efficiency. The desire to pursue trade agreements is understandable, given the problems the World Trade Organisation is having. There are hopes that trade agreements are a stepping stone to global free trade. It is possible, but difficult to sustain when looking at the complexity of these agreements. It is difficult to see documents with 500-page annexes leading to a simple, open system of world trade. As much as it might be hard to accept, the best course of action might be just to go back to the World Trade Organisation and focus on trade and our multilateral tradition. Progress might be slow, but at least when change is made, it is likely to be beneficial.